By Ashutosh KS in Desktop. Updated on July 26, 2016 . An offline browser helps you browse the Web offline, cutting down on your Internet expenses. Think of it as a "save now, read later" tool but involving whole websites and all its internal layers and links. The contents will be downloaded and their resources cached, so that you can browse the website and its pages later even without an Internet connection. This is helpful for instance, if you are a research student who may need to run experiments on-site where there is no Internet connection, or if you are travelling to a foreign country and have limited Internet connectivity. You can save the research papers or travel guides you need and access it later via these offline browsers. Here are 10 of the best offline browsers out there. While some are premium software, our emphasis are on the versions that are available for free. Do note that most of these offline browsers work primarily for Windows although a couple works on other platforms as well. HTTrack Website Copier is the most popular free offline browser. It downloads an entire website to your computer recursively, replicating its online version. You can browse the replicated website just as you would browse it online, only the external links would not work without an Internet connection. It respects robots.txt’s preferences and thus there are parts of a website that may not get downloaded until the robots exclusion settings are disabled on the web server. It comes with an advanced download manager that can update and resume downloads. WebAssistant Proxy Offline Browser works differently from other offline browsers. It acts more like a caching proxy server than an offline browser. It does not download the entire website upon request, but it automatically builds a cache of visited pages that can even be shared across multiple machines. WebAssistant Proxy Offline Browser works in both online and offline mode: the online mode loads the non-cached pages from the Internet and the offline mode shows only the cached pages. The cached pages are archived in their original hierarchy and links to cached resources are color-marked for quick view. It even highlights the changes in the updated web pages and shows a directory of all the cached pages. WebAssistant Proxy Offline Browser is free only for personal use. It’s built on Java, and is available for Windows, Mac OS X, Linux, Unix and Solaris. 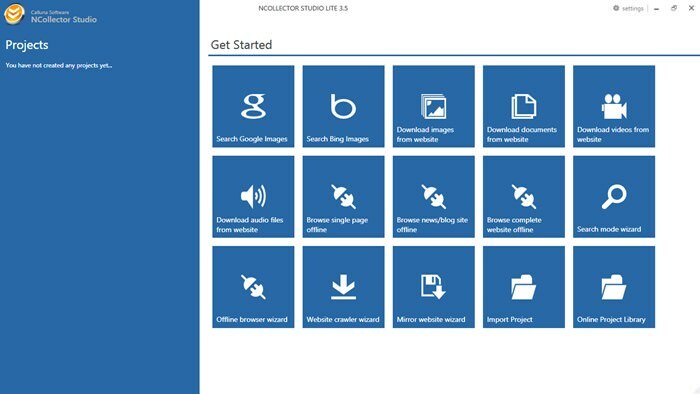 NCollector Studio Lite is an easy way to download whole websites or specific files. It offers four modes: offline browser, crawler, search, and mirror website. In offline browser mode, it downloads websites for offline viewing and translate all the internal links to local links. In crawler mode, it crawls multiple sites for various files like documents, images, videos, music, etc. and download them as per the configured settings. 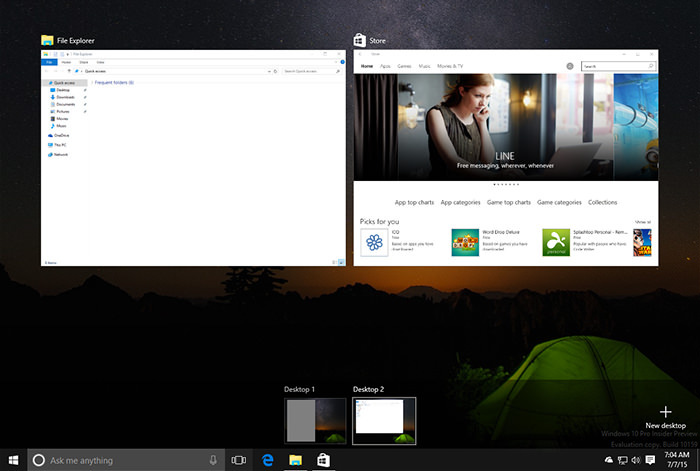 In search mode, it downloads images using Google and Bing search providers. In mirror website mode, it archives a fully functional snapshot of any given website without any modifications to set up a mirror website on a new host or server. Its lite version is free but it comes with some limitations like a reduced number of max levels and pages. It runs only on Windows. 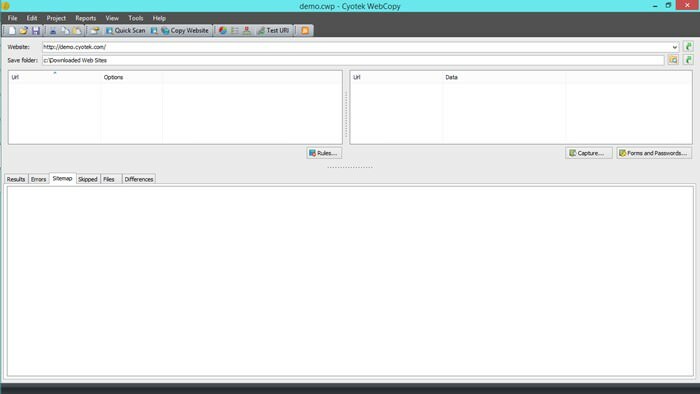 WebCopy copies partial or entire websites to your hard disk. You provide the requisite URL and it fetches the web pages and their resources from its servers. If you wish to skip parts of the web sites, its filters and advanced configuration settings let you define what and how to copy the resources. It crawls the full website and downloads everything to create a reasonable facsimile of the given website. It’s free for both personal and commercial use but it’s available only for Windows. PageNest Free Offline Browser copies an entire website or its selected pages including the text, images, and styles. You just need to provide the requisite URL and it downloads the required resources to the hard disk of your computer. It uses advanced multi-threading download technology to get multiple files together from the web to speed up the download process. PageNest allows you to browse the downloaded website or pages within its nested browser or you can browse them using any of your favorite web browser. It even hones down new content added to the online version of the downloaded pages. It’s completely free for personal use, and require some charges for commercial use. It’s only available for Windows. BackStreet Browser is a powerful offline browser with a high-speed multi-threading download engine like PageNest. It can quickly download entire or part of a website including HTML, graphics, Java Applets, sound and other resource files. It saves the downloaded websites in their native format as well as in archives to save storage space. 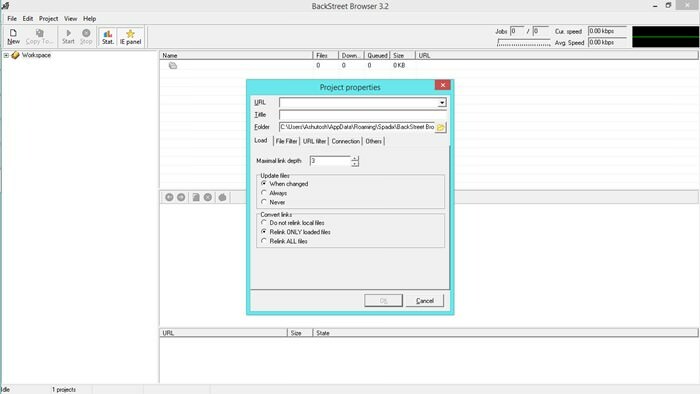 Backstreet Browser’s unique zip/unzip facility allows you to save space without compromising on the usability – any zipped website can be viewed directly in its built-in offline browser. The same can be unzipped for viewing in any other web browser of your choice. It duplicates the original directory structure of any site making it easy to transfer the website to another server. It comes with various other features such as update and resume functions, option to access password-protected sites, etc. 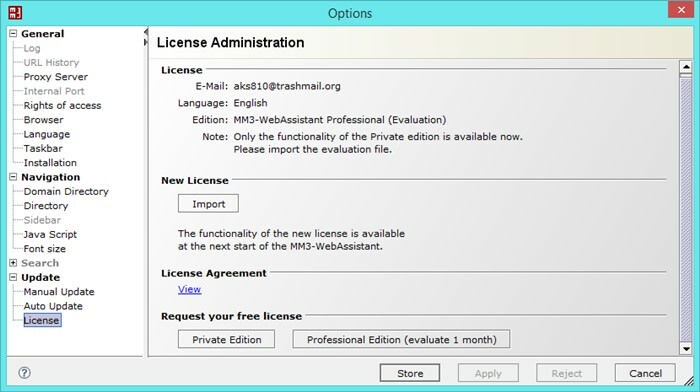 It’s free even for commercial use but is only available for Windows. WebReaper crawls a website and downloads its pages, pictures, and objects for offline viewing. Unlike other offline browsers, it can download the websites at two locations. The version downloaded as a local directory works as a fully browseable website and can be viewed using any web browser. The second is as an Internet Explorer cache that can be browsed using IE’s offline mode. The latter mode of downloading websites works more like WebAssistant Proxy but is limited to Internet Explorer. WebReaper uses multi-threaded downloading and supports ShockWave Flash – it downloads and fixes SWF movies for local browsing. Its filter creation wizard and set of 12 filters allows you to easily configure what parts of the website should get fetched for offline use. It even supports proxy and web authentication to access blocked or protected websites. It’s free for personal and commercial use and it’s only available for Windows. 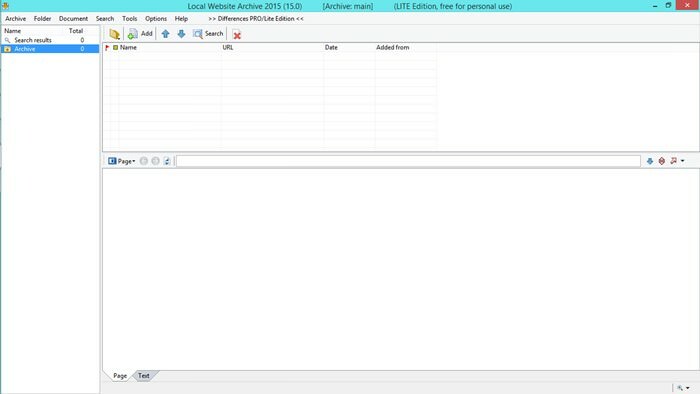 WinWSD WebSite Downloader comes with a plain interface and saves entire websites or their specified parts for offline browsing. You can browse the downloaded website within the program itself or in any web browser. WinWSD WebSite Downloader does not change all internal links to their download location, and thus you may find it inferior to other offline browsers. It does however provide 5 handy download modes: download the whole site, skip the multimedia files, get only pictures, download only multimedia files, and grab only executables. It also features additional tweaks that lets you specify which files to download. One of its useful feature is an option that automatically shuts down the program or your computer after download completion, and comes for free but only works on Windows. Local Website Archive Lite is different than other offline browsers. It cannot save whole websites, just web pages and documents from the Internet. Saved pages and documents can be opened by the associated applications and can also be indexed by desktop search programs. Local Website Archive Lite can be attached to Website Watcher to download changed web pages automatically. It’s compatible with various online tools and popular web browsers. It’s also loaded with powerful search features that helps to find some information in locally stored pages or documents. It’s only available for Windows and its lite version (though it carries limited features) is free for personal use. Getleft is a website grabber that downloads complete websites for offline browsing. It changes internal links to relative links so that you can surf the local website in the same manner you browse any online website. Like HTTrack and WebAssistant Proxy, it’s available for multiple platforms: Windows, Mac OS X, Linux, and Solaris. It can even follow external links, and comes free for personal as well as commercial usage. Which is your favorite offline browser? Do you know of any other offline browser? Please let us know via the comments section.